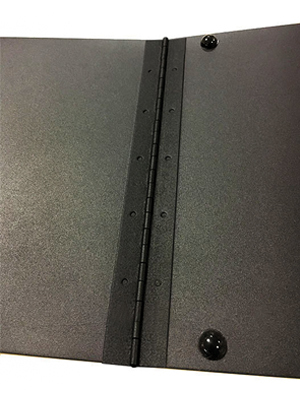 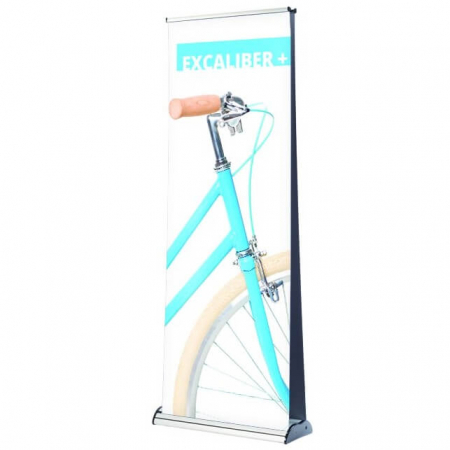 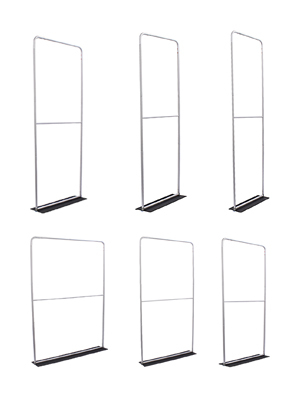 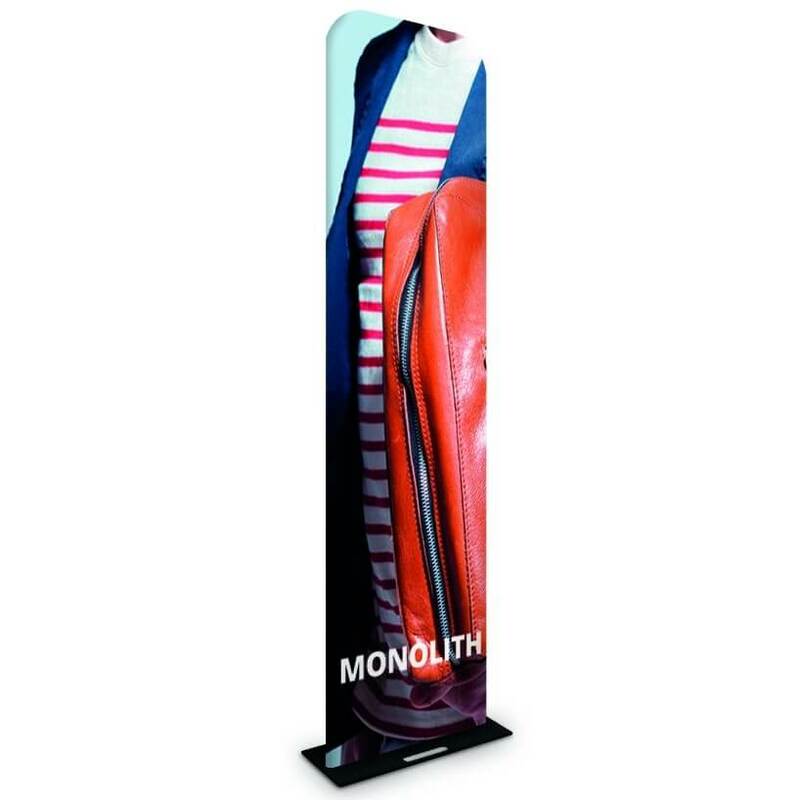 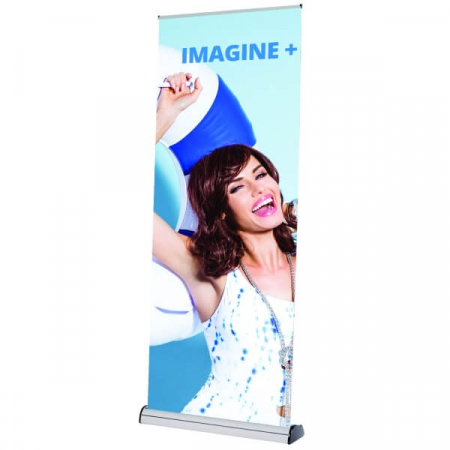 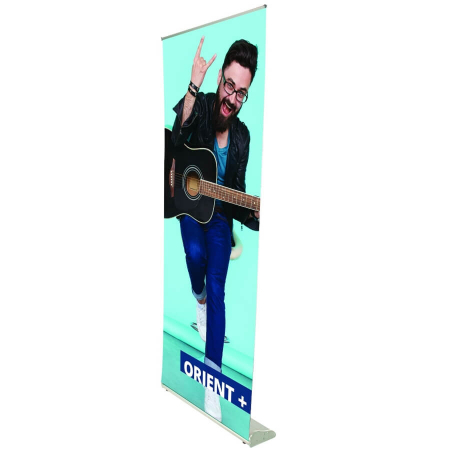 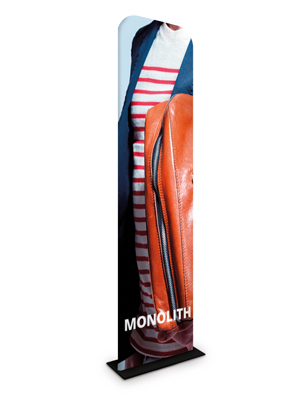 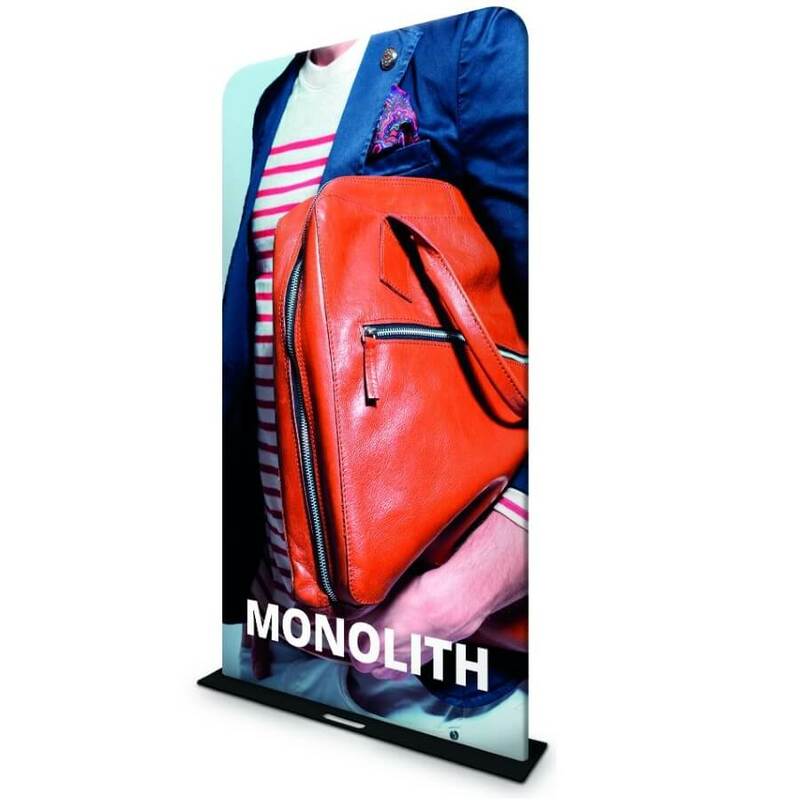 The Formulate Monolith fabric banner stand is a tall, broad high impact graphic display available in 4 different widths from 600mm up to 1500mm. 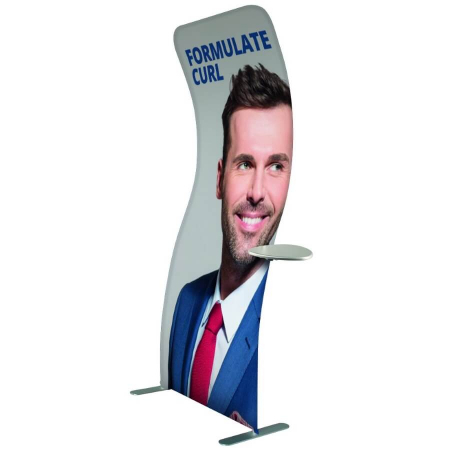 It features a heavy metal base for extra stability. 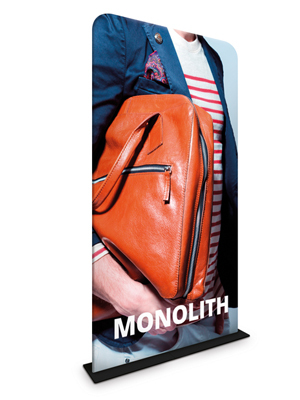 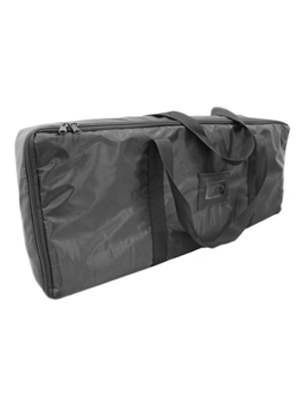 The fabric graphic sock covers and hides the lightweight pole frame underneath to create an eye-catching display.